Susan, I heard you speak about dyslexia in Appleton when my son was 5. At the beginning of kindergarten, he was already saying that he hated himself because he was stupid — because he couldn’t read like the other kids. I was shocked to hear him say it with such strong emotion at that young age. He’s now had a year of Barton tutoring at the Dyslexia Reading Connection Center. If only if you could have been a fly on the wall at his last parent-teacher conference. He’s starting to read and is proud of what he’s accomplishing. He’s happy, confident, and a leader in his Montessori classroom. And best of all, he WANTS to learn. That spark was not extinguished. We are amazed and so deeply grateful for his progress. Things are going really well, and I believe he’s going to continue having the school experience every child so deserves — where they feel safe and accepted, even if they learn differently. And I’m so grateful to you for dedicating your life to dyslexia awareness and education. Our story begins when my son, Larry, was in kindergarten. He missed out on play time because he struggled to identify letters and their sounds. In first grade, sight words caused him to miss play time. In second grade, timed reading and math became 75% of his grade. Third grade would bring the FCAT. I was told if a student cannot read 150 words a minute, they probably would not be able to finish that test. Homeschool continued through 3rd and 4th grade. Although I slowed everything down, I continued using the same curriculum – but it wasn’t working. Larry was extremely frustrated. By 5th grade, he and I were at our wits end. Shortly after starting the school year, Larry broke down and said he was stupid and wanted to kill himself. That still brings tears to my eyes. On that very day, I knew I had to find an answer. So I got on the computer and started frantically searching for a way to teach my son. I decided to go to a message board for parents with dyslexic kids. The ONLY thing they were talking about was the Barton Reading & Spelling System – which level they were finishing, and who had the next one. You promised that with the Barton System, my son would read at or above grade level and his spelling would improve, and I believed you. Needless to say, homeschool has not been the same. Larry is now a 7th grader, is in Level 6 of the Barton System, and now believes that he can go to college and excel. Thank you. Susan. I am forever grateful that you have become an important part of Larry’s life and education. As this parent shared, “slower and louder” will not work for a child who has dyslexia. 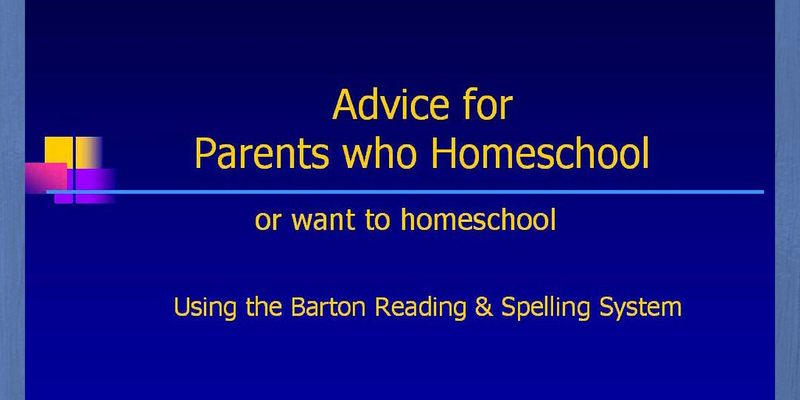 By the way, that presentation also contains useful advice for parents thinking about homeschooling. 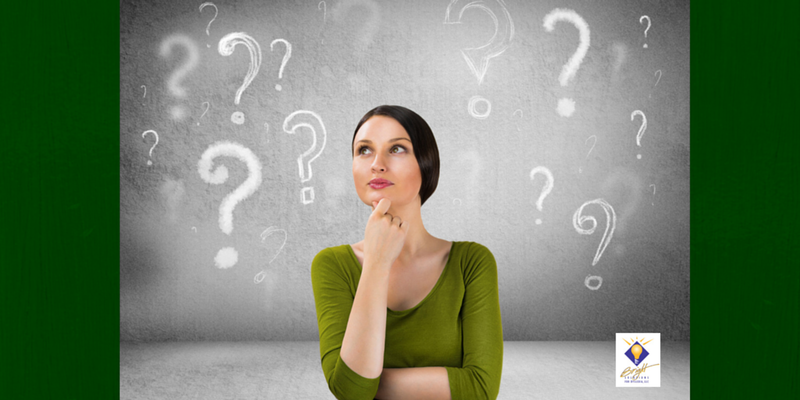 “Could it be dyslexia?” I asked my son’s kindergarten teacher. “No, it’s not dyslexia. Don’t worry. He just needs to work harder,” she reassured me. My bright boy, who had eagerly waited for the day he could go to school to learn to read, had begun to tell me that reading was stupid, and school was stupid. “Could it be dyslexia?” I asked my son’s first grade teacher. “No, it’s not dyslexia. He just needs to work harder,” was again the response that I received. I sought help for my son and was told that Vision Therapy was what he needed. Over $6,000 and 1 year later, he was even further behind. “Could it be dyslexia?” I asked his Vision Therapist. “No, it’s not dyslexia. He could do better, he just chooses not to,” she told me. In second grade, Casey attended a public school. His teacher told me that he was reading on a Kindergarten level. I was shocked. “Could it be Dyslexia?” I asked the teacher and the reading specialist. “No,” was their reply. Meanwhile, my bright boy was struggling, his self-esteem suffering, and he had behavior problems at school. Casey was heartbroken to see the U’s on his progress reports. “Do you test for dyslexia?” I asked a psychologist. “Yes,” he told me. While waiting for the results, I searched the internet for information about dyslexia. 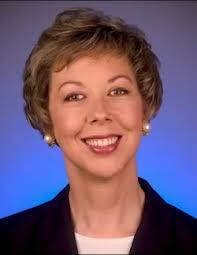 I found a very knowledgeable woman, Susan Barton. She told me what areas of weakness (indicators of dyslexia) I should look for in his testing report. I stopped asking “Could it be Dyslexia?” I knew the answer. With God as my guide, I learned to tutor my son using an Orton-Gillingham based system, the Barton Reading & Spelling System. Casey’s grades quickly improved from U’s to A’s and B’s. His DIBELS scores improved from “High Risk” to “Above Average.” After only 4 months of tutoring, he was reading at a third grade level. Reading and spelling finally made sense. Dyslexia is NOT determined by how great a parent you are, how much education you have, or how much money you have. Dyslexia does not discriminate. Parents, you must listen to your gut instinct and listen to your child. Professionals can be wrong. They may have a big heart and a higher education degree, but they can still be wrong. For professionals reading this (teachers, doctors, principals, reading specialists) my hope is that you will take the time to learn more about dyslexia, so that you too can spot the warning signs. It is NOT my intention to discredit any of my son’s teachers, private schools, or public schools. My intention is to increase awareness. We need to do more to recognize and understand dyslexia. Parents, if you have ever found yourself asking “Could it be Dyslexia?” the answer is “Yes, it could be.” Please do not wait another moment to get them help. It is their life, their future, their self-esteem. My son, Tom, is about to turn eight and has been struggling with reading since kindergarten. Even at that age, asking him to sit down and read for ten minutes resulted in tears. But we forced him to try. In first grade, kids in his class were correcting his reading mistakes. He felt very bad about himself. He would often come home sullen and exhausted. He was unable to read anything on his own. He needed help with even the simplest of books. But he was a great guesser and could figure out a lot from picture clues and context. In fact, the school actually encouraged children to guess at words. But Rick had no strategy to figure out a simple word or sentence, so if there were no pictures, he would simply give up. By the time he reached second grade, it was obvious that all the hours spent reading at home (and at school) were not helping. He still had no clue how to sound out words. So last January we took him out of public school and enrolled him in an online charter school in a desperate attempt to help him here at home. That’s where you come in. That charter school asked us to watch your dyslexia video, which explained things so clearly. We then realized Tom has dyslexia – as does his father. Thankfully, that online charter school had a site license for the Barton Reading & Spelling System, so we were able to get it through them. Your program has been a miracle for us. We are finishing level 3, and Tom is starting to read on his own. He chooses books for himself and delights in reading them to us. He is so happy and proud of himself. Thank you for the time and effort it must have taken to develop your program and create those training videos. 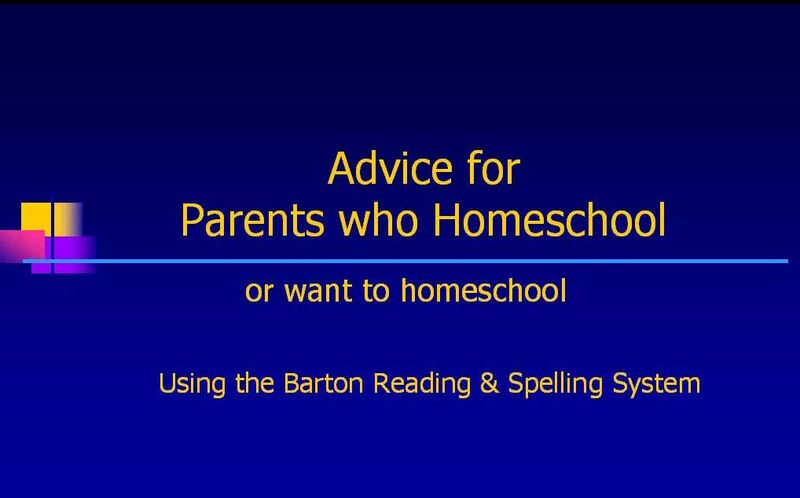 Susan Barton is thrilled that so many virtual charter schools – which support home educators – are now providing parents with the Barton Reading & Spelling System. My name is Nathaniel, and I have dyslexia. This past week, my mom has been attending your Screening for Dyslexia seminar to learn more about dyslexia and how to help others. Each night when she returns to our hotel room, she shares a few highlights of her day. She told me about the emails and letters you are sharing to remind the group why they are there at your seminar. I wanted to share one more. My story is similar to many other people with dyslexia. My early school years were filled with much pain and emotional trauma. My first tears, and adding the word “stupid” to my vocabulary, started in Kindergarten. I was only 5 years old. The phrases, “Try harder,” “Practice,” “Read more,” and “Why can’t you?” were engrained in my head during those early years by teachers. I had bruises on my fingers from trying so hard to write sentences, and I was pulled out to attend a class for slow readers. Recess was my favorite part of the school day until 3rd grade. I was punished and humiliated during 3rd grade. I was forced to sit on the wall during recess while all the other children were allowed to play . . . simply because I could not finish my work in class on time. I had to sit there watching my friends play with my incomplete piece of paper. Yet I still was not able to complete it because I could not read it. After weeks of sitting on that brick wall, I snuck my papers home and tearfully asked my mom to help me complete them so that I could have a couple of days to play during recess. Needless to say, I never returned to that school – thank goodness! After that, I was finally told that I had dyslexia, and I began homeschool. In fourth grade, I was reading and spelling at a very low first grade level. But today, I am proud – MORE than proud – to share that I am just weeks away from completing Level 10 of the Barton System. Not only can I now read and spell, but I know LATIN !!!! I just finished 8th grade at a public school where I received awards in Academic Excellence with a 3.9 GPA. I won first place in our social studies history project, and I have been accepted for high honor classes in high school next year. My test scores show that I am proficient (and even advanced) in math, comprehension, and yes, even reading !!!! While writing is still not my strong area, mostly due to dysgraphia, my computer sure makes it look like I am a whiz. I still hate to tie my shoes, my “other right” is a common joke, and I occasionally reverse my numbers and letters when I am tired. At times, the Franklin Spelling Ace is still my best friend, and my favorite inventor is the man who created the digital clock. Now I can spell words like “purely exhilarated” and “euphoric joy” to express my gratitude, but my word is “happy.” Those first spelling rules, like the Happy Rule, changed my tears and fears into a HAPPY, confident and successful dyslexic student. Linda is about to start second grade, and I am so worried. Linda has ALL the classic warning signs! Some I didn’t even know were signs until I watched your video. She used to say “teanut butter,” “Janjuary,”, and “Yew Nork.” It was cute back then. She had two sets of tubes and had her adenoids out at 2. At the end of kindergarten, the teacher said Linda could not write her ABCs on the assessment. She left out 7 letters. And Linda could not figure out which letters she had left out – not even when she sang the song. 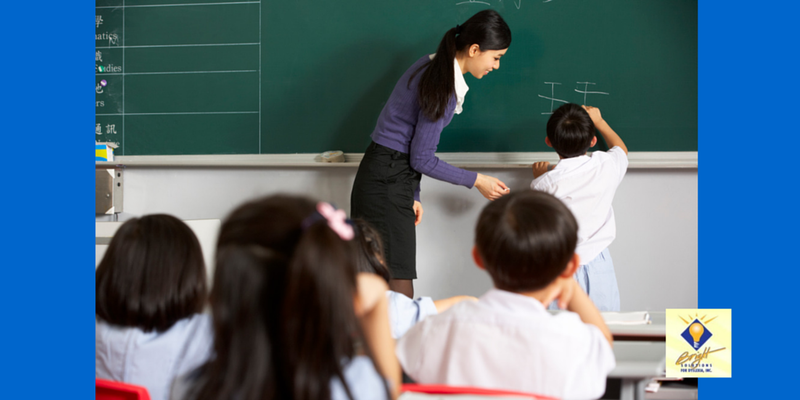 Despite tutoring with the teacher ALL summer before first grade – no improvement. We read a book that had the word “star” in it at least 15 times. Linda read it correctly 14 out of 15 times, but on the last page, she could not read that word. I was flabbergasted! Writing is such a chore. She definitely has dysgraphia. And don’t even ask me how many hours a week we waste trying to memorize the weekly spelling list. Toward the end of first grade, I had her tested at school for a learning disability. Her IQ is 120. She tested in the 99th percentile in verbal comprehension and perceptual reasoning, but only the 42nd percentile in working memory, and the 13th percentile in processing speed. The school psychologist claimed that meant she was not dyslexic. He noticed her writing difficulties, but said Linda just needed to practice more. This summer, I had Linda work with a reading specialist 3 days a week. It seemed to help a little. Linda is currently signed up to start with this reading specialist again when she starts second grade – next week. Her latest “incident” has been trying to learn our phone number. Through her tears, Linda tried for 30 minutes to learn it. We sang songs, tried clapping it, etc. Nothing helped her remember it. She doesn’t know our address, either. Does this sound like dyslexia to you? Children with dyslexia will not improve with the type of help available at most public and private schools, and at most learning centers. I have 5 children, all born within 8 years. I was a very busy, stay-at-home mom with enough kids to have a ‘preschool’ of my own, and we were very active in our church. So there was no social reason to send my kids to preschool. When my first child entered kindergarten, I always heard how ‘sweet’, ‘beautiful’, ‘cute’, ‘precious’, etc. And then it was ‘but she struggles with…’ I could not understand how she could struggle so much when she seemed to grasp everything I taught her at home. She struggled with reading, writing, and spelling for years. The school offered time with their reading specialist, and then testing. We tried every avenue of help including Reading Recovery, IEP, private tutors, then homeschool, NILD, and even a private reading clinic. She was given every accommodation in the book just so she could pass her classes. She was given a ‘P’ for pass instead of a letter grade like her peers. Years and tens of thousands of dollars later, she was only at a 4th grade reading level. By the time my last child turned 5, I knew the signs of a different learner and I knew he was not ready for kindergarten. So I convinced my husband to wait an extra year. He agreed, but only if I found a preschool program for him – which I did. It seemed every boy in his class was also ‘waiting a year’ to go to kindergarten. So we thought John was on track. The following year, John went to kindergarten. At the end of September parent-teacher conference, his teacher shared all her concerns. The dread came over me. Here we go again. But I was not going to sit back and wait. I asked for an evaluation now. She told me they don’t usually do this until at least 1st or 2nd grade. But I fought back and demanded testing now. It took them until spring to actually follow through. Fast forward through years of IEP meetings, hearing of ‘progress’ but seeing John fall further behind. Due to his low self-esteem, low confidence and depression, we felt his spiritual and emotional growth was more important than academics, so we decided to switch him to a private Christian school. But that private school required placement testing. We were shocked at the results – at how low John had tested. I received a personal call from the principal who shared that they did not feel it would be in John’s best interest to enroll in their school. Crushed puts it mildly. But in discussing other options, that principal told me about a dyslexia specialist, Cheryl Anthony, and put me in contact with her. She is well known in the Northwest and is trained in the Barton Reading & Spelling System. John is making amazing progress with her private tutoring using the Barton System. I have been struggling with this, along my children, since 1995. It was only in 2011 that we realized it was dyslexia. How frustrating for us as parents. And how horrifying and belittling it has been for my children all these years.